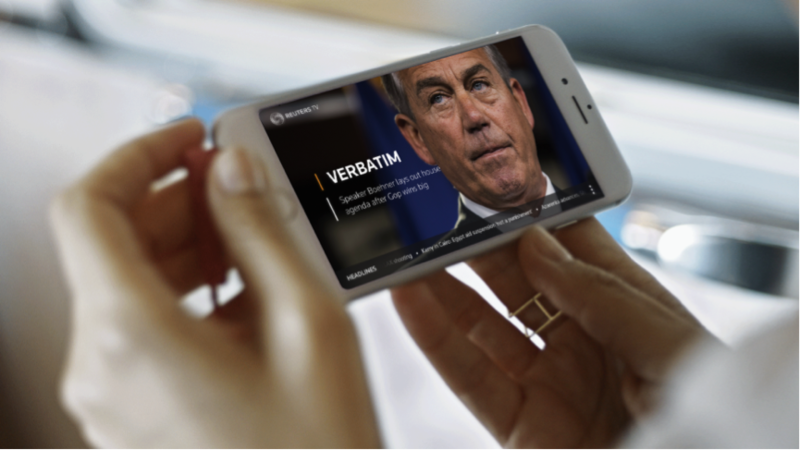 Mobile news has been undergoing something of a transformation in the last twelve months. Independent aggregator apps like News Republic have been growing in popularity curating and delivering personalized news feeds to users, taken from a wide range of sources. Yahoo’s News Digest app has also been prioritizing a clean and efficient user interface that delivers a twice-daily summary of the major stories of the day. It’s interesting then, to see Reuters - one of the planet’s largest news gathering organizations - jump into this fray. I can’t say it’s a bad move – Reuters supply outlets like Yahoo News Digest, News Republic, and a staggering number of other sources with a huge range of news content throughout the day, so why not seek to capitalize on this fact and take it direct to the consumer themselves? It gives them the ability to connect directly to the audience rather than having to always be viewed through a proxy or be reduced to a mere mention on Twitter or Feedly. In taking further control of their brand and how it is presented to the consumer, Reuters have created Reuters TV, which aims to deliver a personalized news show to each user, focussing on the stories and events that interest them. It’s an important approach for a couple of reasons; the first is that Reuters are prioritizing the video element of news above the traditional written form that usually remains so strong with news apps. They’re aiming to deliver TV news type content but for a distinctly non-TV news consuming audience. The second important thing about Reuters TV is how it approaches the delivery of its video content. In delivering a personalized news show, the app allows the user to say how long they have to watch (between five and thirty minutes) and the content is tailored to fit into that window. By chunking stories into easily digestible sizes, Reuters are delivering news in a way that fits exactly with the viewing habits of the modern mobile user. What’s so exciting about this is that it’s presenting video news in a way that actually feels modern and of the moment. Content is tailored, almost in a bespoke fashion, to suit the user’s needs and with more use comes a better understanding and predictive capabilities of what else the user will find of interest. Reuters are taking the principles behind hyper-personalization and applying them in a way that works fantastically well for their brand. It’s further evidence that to create great, personalized services you don’t need to have monstrous, monolithic systems in place; just a solid understanding of your own content and how your users engage with it. The usage data generated from that use further informs what’s delivered, creating that hyper-personalized loop while also delivering analytics data of significant value to Reuters. It’s refreshing to see an organization that prides itself on news and data gathering in the real world apply that kind of focus to its own products. Miles Weaver is Piksel’s Innovation Programme Strategist, overseeing the strategy of Piksel’s Innovation Programme. He closely monitors trends in living room technology and user behavior and is an avid commentator on the digital TV revolution. Connect with him on Twitter with @mrmilesweaver or @piksel.